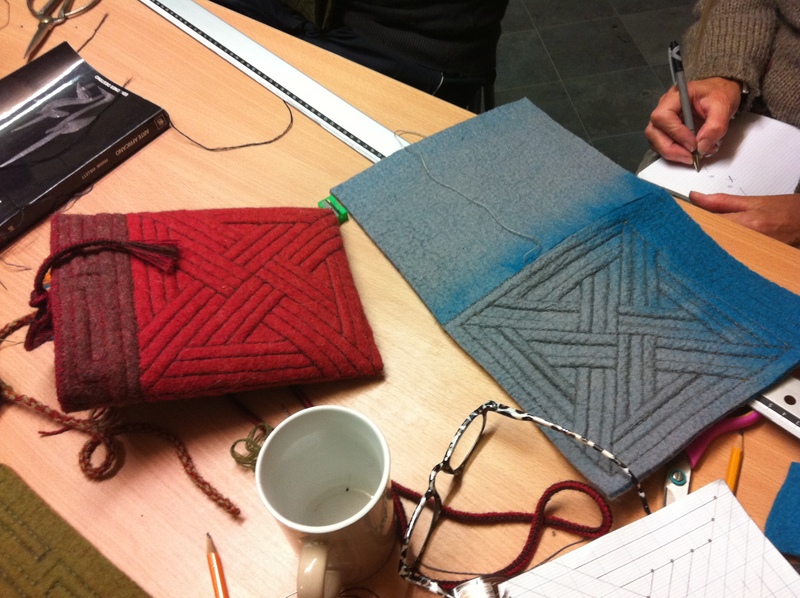 It was very interesting to see everyones stitching starting to take shape and by the end of the second day I had my relief work finished and was ready to start assembling and stitching my bag first thing on Sunday morning. I really liked the way we learnt how to use a type of herringbone stitch to join the back edges of the seams together (remember the seams are very thick, ten layers of wool!) and then used a different stitch to join the front edges, this should have been almost invisible but I think that I need a little more practice if not a lot! Surprisingly I enjoyed this part of the sewing quite a bit, probably because I could really see my bag coming together and I have to say I was liking the result!!! Once all the pieces were stitched together it was time to sew a fancy border around the top edge before making/attaching a cord or in my case leather handles. I found the stitch for the top edge really impossible to get even and it was not doing anything for the bag so Vanda suggested making a cord instead (twisting threads together and allowing them to wrap back on themselves) which I did in a silvery grey and black wool. Once this was in place all that remained was to add my leather handles, these were a GREAT find in Rhinebeck, more about my favourite suppliers from there in the next post! All that remains now is to say a big thank you to Carmen for organising such a wonderful workshop, I will be back!!! 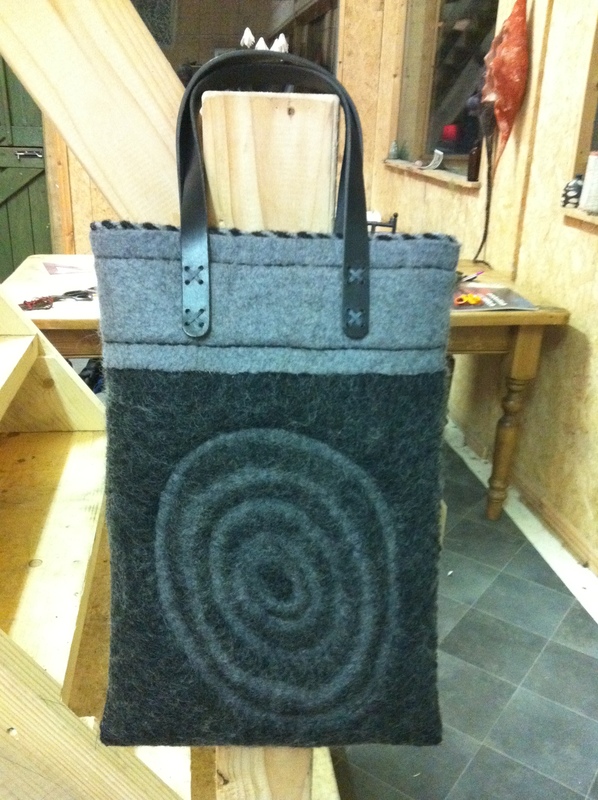 This entry was posted in Uncategorized and tagged bag, Felt, felt bag, felt tote, felt tote bag, Felting, leather handles, Vanda Robert by Nicola. Bookmark the permalink. Hope you’re finding some time to relax and enjoy the weekend.